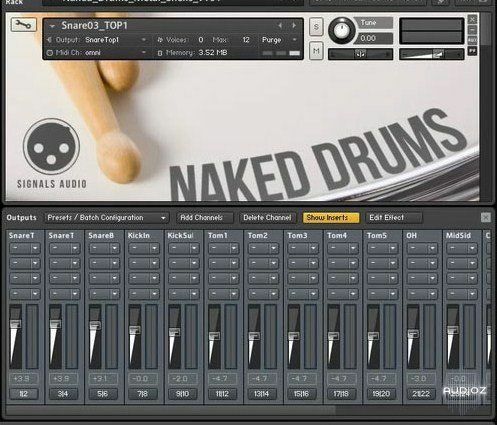 Wilkinson Audio have announced that their Naked Drums, a high quality Kontakt library. If you are an owner of Native Instruments Kontakt full version, and you want to add in your arsenal a high quality sampled drum kit (which by the way is a mixture of Yamaha, Ayotte and Pearl shells, plus Sabian and some Zildjian cymbals), then this is highly recommended. Listen the demo below, the drums and the arrangement sound realistic and convincing, but of course the final result is also depending on the skills you have in programming drums.